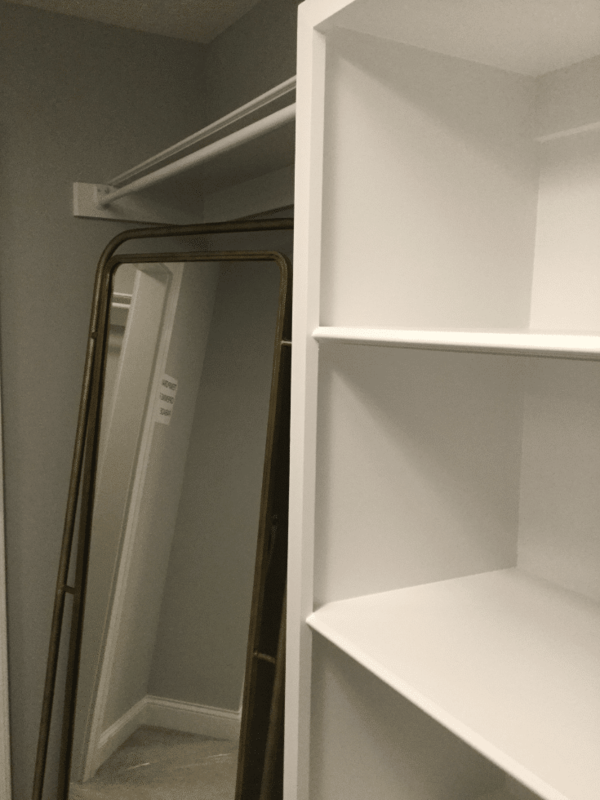 The challenge with this is IF you want/need a custom closet for your master bedroom, a guest room or vacation home and you or your builder ‘wing-it,’ your design could be plagued by problems and dumb mistakes (most likely these will become apparent after it’s too late and you’ve moved in). Not sure what these problems could be? Here’s a few ‘gems’ (sarcasm intended) you could be stuck with. You don’t have enough room for your shoes. The average woman has 31 pairs and the average man has 8 (BTW have you ever seen an ‘average woman or average man before?). 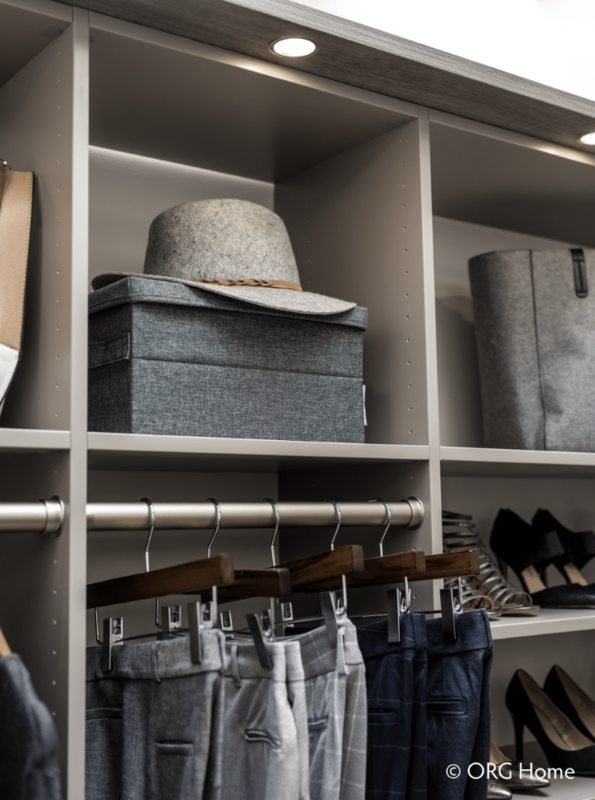 Your closet system won’t be designed specifically to fit your clothes (or how your mix of clothing changes as styles come and go). 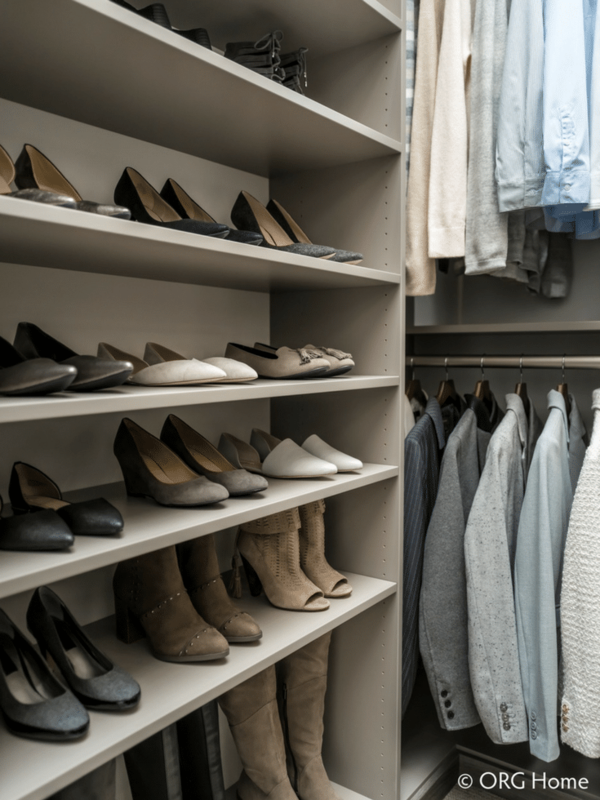 You won’t know if your closet has too much unused room, or is too cramped, because you never saw a 3D picture to give a ‘feeling’ of how it would live on a day to day basis. You’ll have folded clothes which look sloppy and hang over the edge of shelves which were designed too shallow. You won’t be able to get completely ready in the closet (and will have to use your already cramped dresser) because there are no drawers in the closet for your socks, underwear and ties. 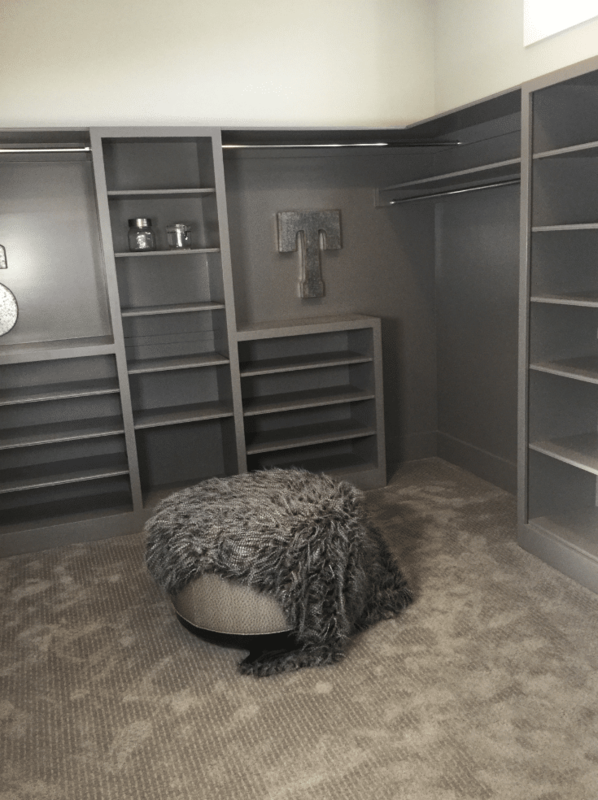 When you invest a good deal of money in a custom walk in closet for your suburban home, or wardrobe closet for your loft, you need the space to not only look good, but to work. 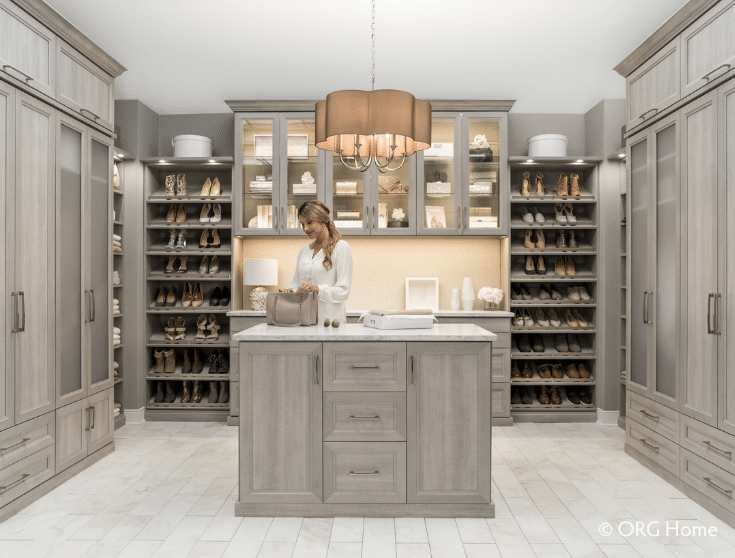 You need to end your frustration finding things (which is a key reason, in the first place, you wanted a custom closet and a new or remodeled home). We all need to spend money wisely. 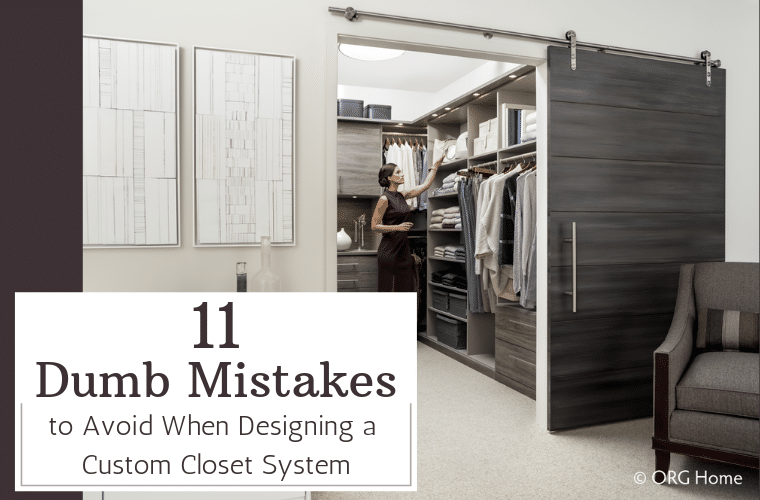 Learn these 11 dumb closet design mistakes so you won’t have to live with them. Get smarter strategies so your closet works flawlessly. Let’s look at these 11 dumb mistakes – and smarter design strategies to eliminate them. If you asked me the #1 mistake I see in ‘so-called’ custom closets, it’s dead space above the top shelf. I’ve seen this mistake repeated even in million-dollar homes. When I see top shelves 24” or more from the ceiling of the closet you’ll undoubtedly experience dead space. Sure, you can put boxes up there and folded clothes, but once you get beyond 12” of stackable materials – piles start to lean or are hard to access. There is a simple fix for this. 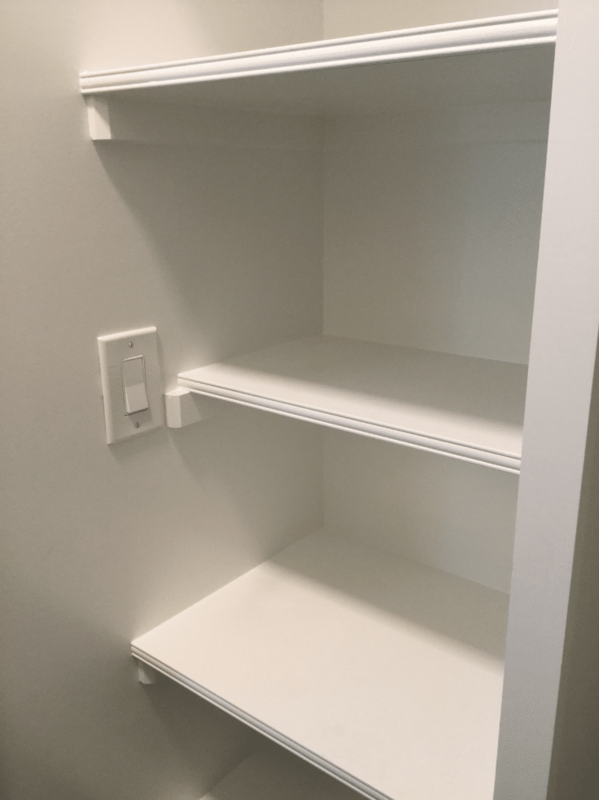 If you walk into a closet system made of wood, or multi-density fiberboard (MDF) which is painted, and they have a mix of shelves and double hanging space you may think (at first) – this will work fine. However, what you may not consider is the fact that you’re 5’2” tall and your husband is 6’1”. You may not think about where you’re going to put your longer dresses. You may not know (yet) your husband suit coats are going to be curled at the bottom. You not only have your own unique mix of clothing, but this mix can/will change over time. Can you relate to working in suits and dresses early in your career and now ‘Casual Fridays’ are every day? Styles change. Your closet (and clothing) needs to change with them. If your closet rods are at all one level (and can’t be move) your custom closet (no matter how sharp it looks) isn’t ready for the prime-time (or the long-term). Here’s the easy fix. It won’t take a brain surgeon (or an astrophysicist – if I can even spell that) to solve this problem. 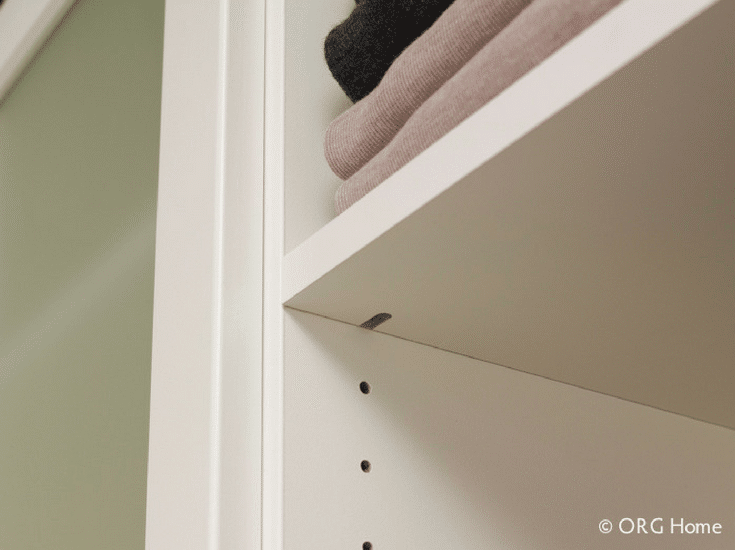 Make sure your custom closet system has side support rails with ‘increment’ holes. These are tiny holes on the side allow you to adjust rods, shelves and drawers up and down. They make a ‘flexible’ vs. fixed closet. 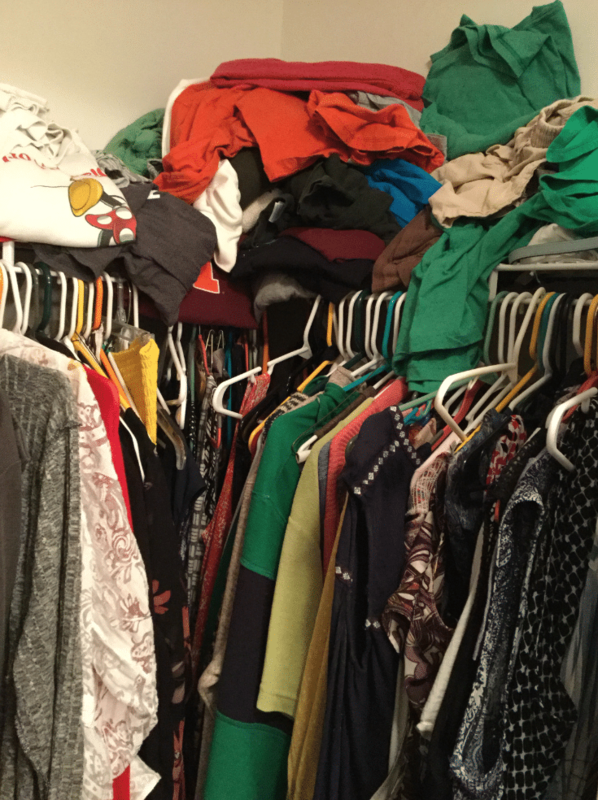 This is a ‘hidden’ problem many people don’t see unless they compare their closet to a professionally designed unit. The problem is your shelves are too shallow. Since it’s cheapest to make 12” shelving some closet manufacturers only use this system. It’s simple for them. The manufacturers take a 4’ wood or laminate board and cuts it into 4 equal pieces. Or to really drive costs down they use cheap 12” deep wire shelves which leave their ‘lovely’ (sarcasm intended) lines along the bottom of your favorite sweaters. While 12” shelving will work OK if you have small shoes, when you stack bigger t-shirts and longer shoes your things will hang out. When things hang over the edge, they look sloppy. This is a no-brainer to fix. Read on. The fix for this problem is a breeze. Use 14” (or deeper shelving). It’s not hard to find 14” deep shelving from custom closet companies. Companies knee-deep in this niche know 12” shelves work poorly. The companies who do skimp with 12” shelving save 14% on materials (many rarely tell customers they are doing this – so their bid seems lower). Don’t get fooled again (as The Who would say). Use shelving which is the right depth. You may have no electrical outlets in your walk-in closet. 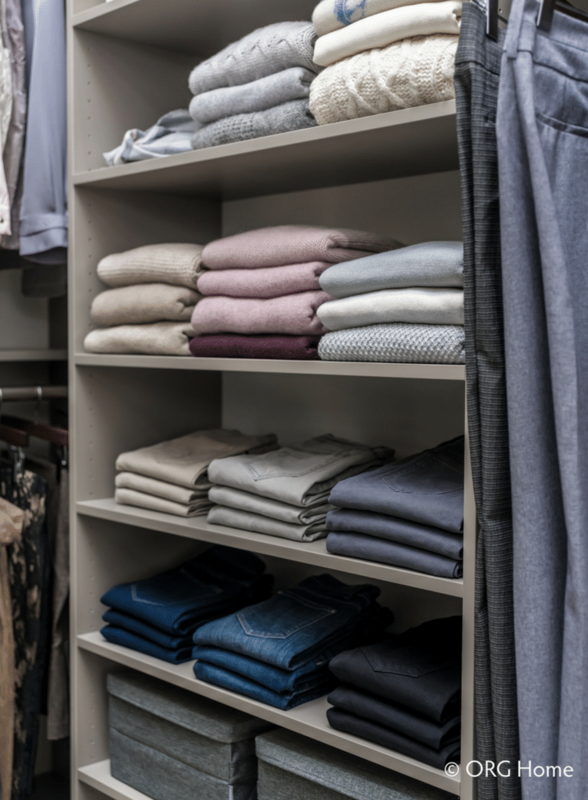 Although it may not be practical to have a ‘Nordstrum-esque’ closet, getting ready in a window-less closet with your husband who is colorblind isn’t easy for either of you. Although you don’t want to spend a ton of money with a custom lighting system, there are options to brighten up and improve functionality. See below. The simple – cost-effective – solution to your lighting problem is to use rechargeable LED motion-activated lights. These units cost about $65 installed and will make dark spots light again. Don’t rely on one lonely overhead light (where all the bulbs have to be burned out – usually- before they are changed – this is SOOOOO true in my house, and I’m the guy who is supposed to change the bulbs). Rechargeable LEDs are low-cost. They can do the job and you only need to plug them in like a cell phone to charge them back up. Angled or raised shoe shelves reminiscent of fancy closets on Pinterest or in glamour magazine are lovely. They’re perfect for people with tons of space. Or Khloe Kardashian who has a closet for tennis shoes only. If you’re like most ‘normal people’ (I’m not sure I’m normal, but I’m going with it here), this is not the world you live in. You’ve got 30+ pairs of shoes and boots. Your collection is growing. You love your shoes, but don’t have room to store them all well. When a closet designer comes in and recommends the luxurious raised (or angled) shoes shelves it was like ‘shoe love’ for you. You thought, now that’s an idea with soul (OK –bad shoe pun intended). The problem with using raised shoe shelves is they create dead space (because of the angle in the back). You can’t afford wasted inches in your closet when you have a lot of shoes and limited space. Fortunately, the solution below will not only help you store more pairs but will cost less also. That’s a BOGO special. You’ll be able to store more shoes and save money using flat, adjustable shoes shelves. These shelves can either be made of durable ¾” thick laminate (so they won’t bow) or be designed with .060 steel to kick up more pairs in the same vertical space. Go flat. Max your storage. Buy more shoes. If you need to, hide them from your spouse. It will be our little secret (BTW, did you know 15% of the people in the United States hide shoe purchases from their significant other? That’s a funny stat!). 1) There are no increment holes (see mistake #2). You can’t adjust rods and shelves as your storage needs change. 2) The painted or wood surfaces get nicked and need to be repainted. 3) Your trim carpenter is (after all) a trim carpenter. He/she will likely be guilty of more dumb design mistakes than a professional closet designer (who does this work daily). You can get the wood look without the maintenance, but with the adjustability, you’ll need. The way to do this happen is using a laminate closet system. New textured laminates feel like wood without the need to repaint or refinish. Sounds like the best of both worlds to me. Let’s say your partner is a light sleeper and you have the ‘pleasure’ (sarcasm intended) of waking up at 5:30 AM for work. In your morning process you have to turn on the light by the bedroom dresser to find your socks and underwear. She wakes up. You get a dirty look. Is there a way around this bad cycle? If you don’t realize it, this morning wake-up problem has a simple solution. It’s to add drawers to your walk-in closet. With drawers in the closet (a place for your socks, underwear, ties etc.) you can get ‘fully-ready’ without using the dresser at all. Thoughtful closet planning makes a happier wife and a happier life. If you’re like most people seeing a 2D floor plan is confusing. Even seeing (as architects call it) an ‘elevation’ view (like you’re facing the wall) doesn’t give you depth perception. You need to know how your space will live. 2D doesn’t cut it. This dilemma is also true with custom closets. You need to see/feel how the closet works when there are hanging clothes which jut out 21” from the wall. Will you have enough room to get around your partner when his drawers (no, not that kind of drawers) are fully extended? Will you be able to reach the top rod? How far is the top shelf from the ground? You need another ‘viewpoint’ than 2D. Fortunately, technology has allowed closet design to help you ‘live the experience’ BEFORE shelling out the bucks to pay for it. 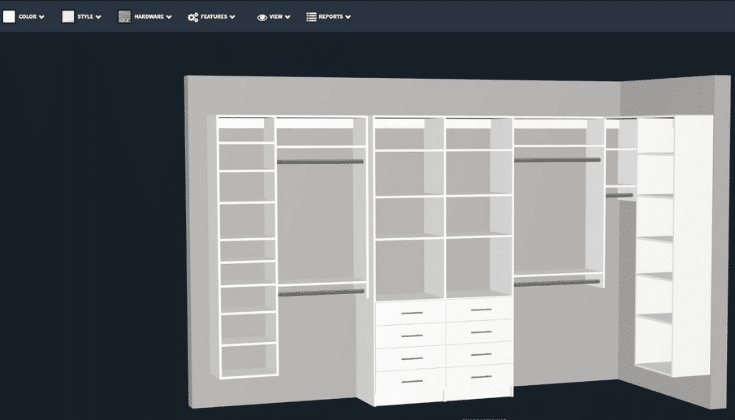 This technology is a 3D closet design. You’ll be able to feel the space. Is it roomy enough? Can you use deeper cabinetry on a feature wall? Will the doorway be open and inviting? Will you feel like you’re entering a jungle, needing to push through your clothes? You need to see a 3D design before you buy. In-swing doors are as evil to closets as the Mueller investigation is to Donald Trump. They’re an unwanted obstruction (even if there aren’t any Russians lurking around). You can’t put shelves or clothes on this wall because your door will bang into them. However, what you likely don’t realize is this wall doesn’t to have zero value to you. Check out this solution. First, adopt the ‘no-closet-wall-left-behind’ design philosophy. Refuse to accept you can’t have a storage system on this wall. Then consider using a simple product like a hook board. It’s perfect for hats, scarves or ties which are thin and can store against a wall. If you have a narrow closet do you feel like you’re pushing your way through a jungle (or a field of clothes) as you enter? Are your hanging clothes so confining you push through them like a corn maze at your favorite farm on a crisp Fall day? With a simple design change, this field of clothes can be eliminated. If hanging clothes (on one or two sides of the entry to your closet) are suffocating, simply replace them with shelving. The most logical shelving to use is shoe shelving (which extends 12” to 14” from the wall). Since shoes are put on and taken off by the closet door, installing them in the front of the closet is logical location. Since these shelves are 12-14” deep vs. the 21” depth of hanging clothes, you won’t be ‘fighting your way’ into your closet. 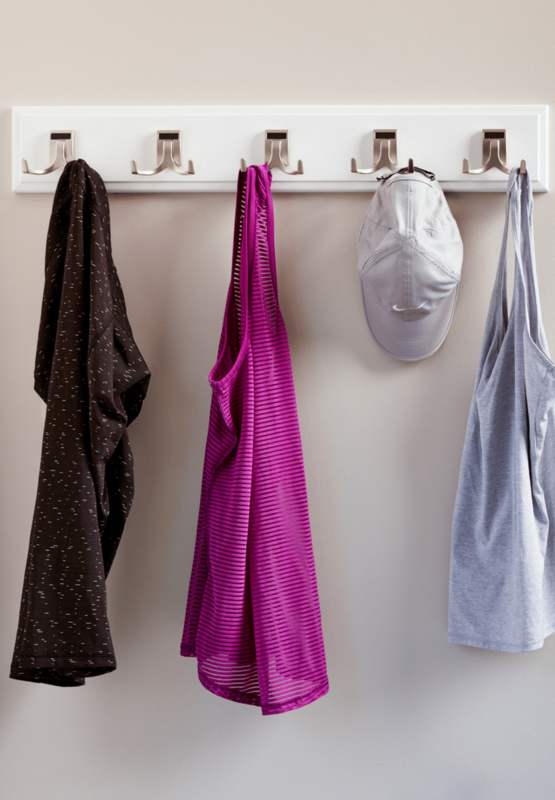 Whether you like it or not (today), using your closet 2 to 3 times a day is a necessity. Closets don’t have to be ugly. 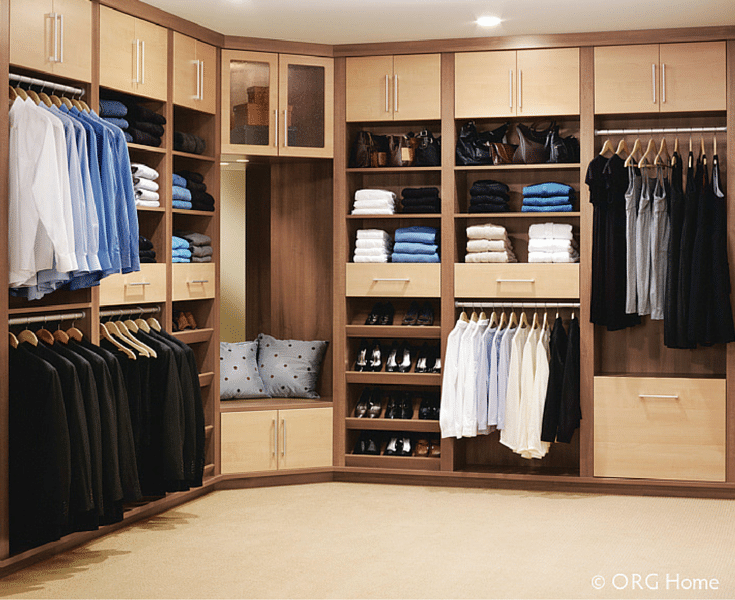 Closets can go beyond being strictly an efficient storage place. 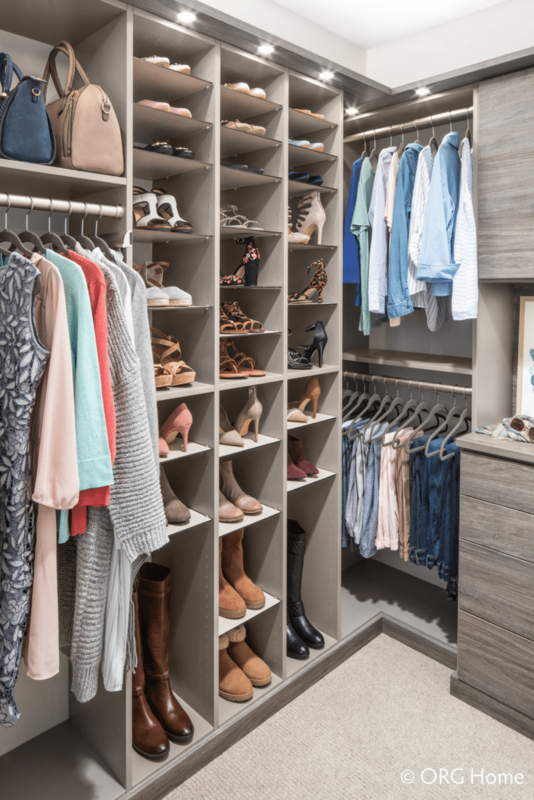 Closets can become wardrobe rooms with a sense of beauty. They can be a place you want to use, not a place you dread. 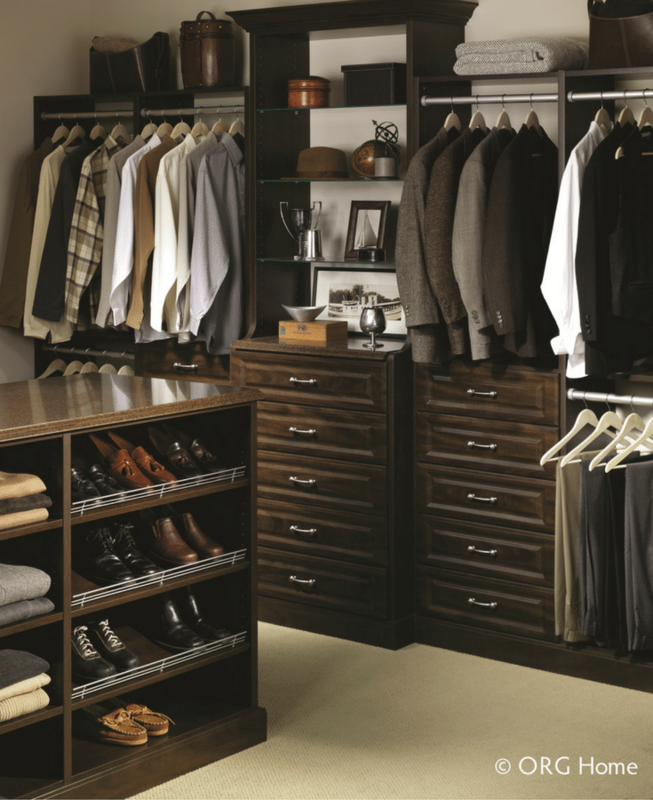 However, you’ll need a game-plan to make your closet an ‘experience,’ not a chore. One cure for an ugly closet is to create a dramatic feature wall. A focal point which says you’re entering a cool space. The space welcomes you. 1) Add drawers to the design. Drawers not only look sharp, but you can store 2 to 3 times more clothes than the same items put on hangers. 2) Vary the height and depth of your cabinetry. If you have a 9’ tall closet, consider a center closet section which is 8’ tall and deeper than the cabinetry on the left and right sides. You’ll create a cool look – and get more storage simultaneously. 3) Use decorative back wall panels or a piece of artwork. Life is meant to be enjoyed. Show your fun side with a piece of art in your closet. Dress up the focal wall with a wood feature wall or a high gloss laminated back panel. Don’t accept a boring, lifeless closet. If you’ve felt your closet is hopeless, I’m here to encourage you to not give up. Sure – there are a lot of dumb closet mistakes which are repeated over and over (isn’t that redundant?). However, if you get help from an experienced closet designer you won’t be the one fighting a bad design for years down the road. 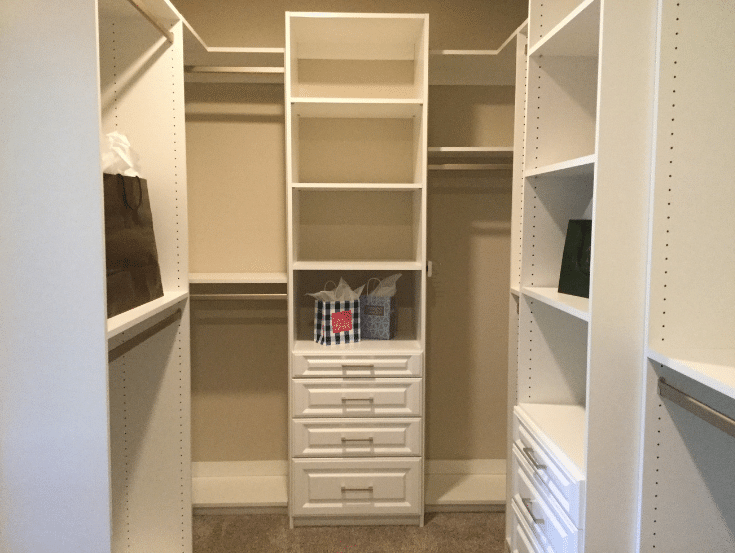 If you live in Columbus, New Albany, Upper Arlington, Worthington, Westerville (or anywhere in Central Ohio) and need help with a closet design we’d love to help. Call us at the numbers below or click here to get your Free 3D storage design. What do you have to lose (except the mess and your frustration)? For more information on organization products or remodeling (with a bit of wacky humor thrown in) follow me on Twitter @Mike_Foti or our companies’ @InnovateBuild and @InnovateHomeOrg.